Many firms are struggling to monitor their client communications and feedback, but next-gen technology could be the answer. London, 8 November 2018 – It is early days for the implementation of next-generation technologies within the capital markets and wealth management sectors, but both sectors have been faced with a deluge of regulatory compliance requirements post-global financial crisis, which has changed the way these firms store and aggregate client information. How can firms use this data and the information garnered from client communications to better target high-value clients with the right products at the right time? 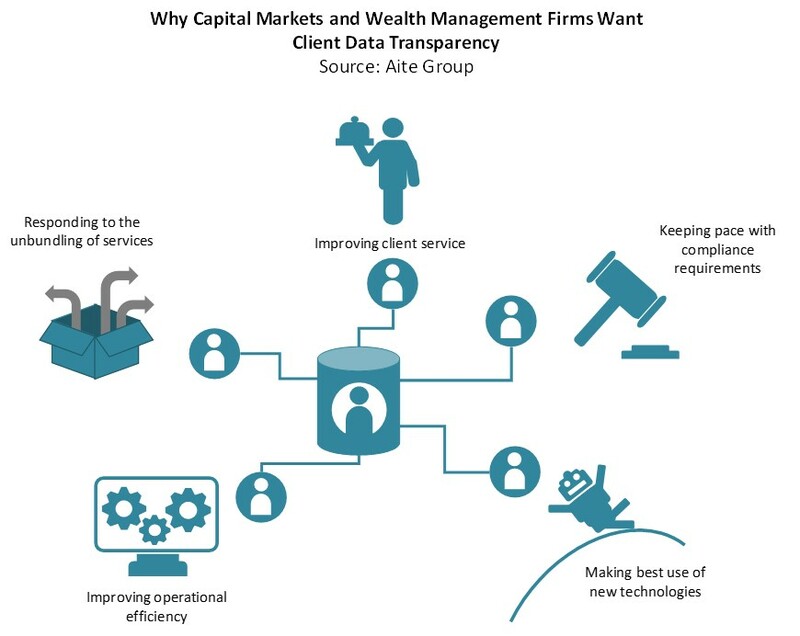 This report explores the client communication and data environments within global wealth management and capital markets firms, and industry perceptions of and attitudes toward next-generation technology in these environments. It is based on Aite Group interviews conducted between March and August 2018 with individuals who deal with client communications and data at five wealth management firms and five capital markets firms active in the global markets. This 28-page Impact Report contains seven figures and one table. Clients of Aite Group’s Institutional Securities & Investments or Wealth Management service can download this report, the corresponding charts, and the Executive Impact Deck.